Lemon cakes are simply delicious. Refreshing with a clean, crisp taste, they bring a classic Victoria sponge to life with vibrancy and zest. Soft and fluffy sponge cake can be enhanced by any citrus fruit. You could even replace the lemon in this recipe with lime or orange and see the exciting flavors that they can create! If you take this cake along to a spring or summer party or barbecue, then it will be a certain winner. Lemons are available throughout the year, so there is no reason for you not to be able to give this delicious and simple recipe a try today. Loaded with vitamin C and known for their antibacterial properties, lemons can even help to regulate bowel movement. This bright little fruit does indeed pack an acidic punch but complements the sweetness of this cake perfectly. Firstly, line a loaf tin with baking parchment. 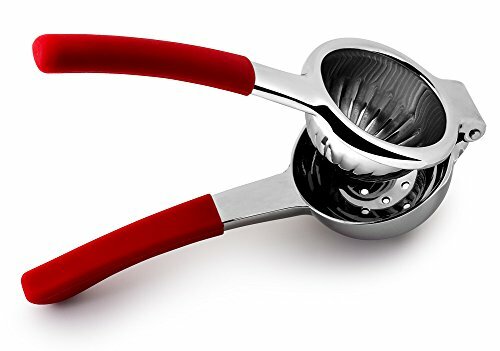 This is to help stop the cake from sticking to the sides when you come to remove it from the tin. Alternatively, use butter or margarine to lightly grease the sides and base of the tin. You may even wish to combine both techniques together for extra non-sticking power. Alternatively, you could make this cake in small cupcake format. For this method, simply place your cupcake paper cases onto a twelve-tin bun tray to fill with the batter later on. No greasing of the tray or cases is necessary if you decide to make this option. The cupcake versions can be delightful at a party in the spring and summer months, as the lemon in the cakes tastes refreshing, light and melts in the mouth. However, this recipe can be made and enjoyed at any time of the year but I do enjoy taking lemon drizzle cake on a family picnic or along to a party with friends and family. 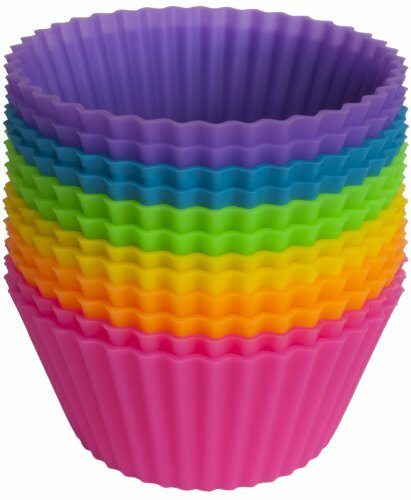 I love these cute and brightly colored silicone cupcake liners and I always use them every time I bake. It is great for the environment because you are cutting down on your paper wastage too. In a medium sized mixing bowl, beat together the flour, caster sugar, butter, baking powder and lemon zest until it is smooth in texture and there are no lumps left. Then gradually beat in the eggs adding them a little bit at a time. Make sure that the amount you add is fully combined before you add the next. You could also sift the flour into the mixture to get more air into it if you wish as well. Using a hand or electric whisk will speed up this process but do not worry if you only have a wooden spoon, as you will combine the ingredients thoroughly enough eventually this way too. Now that was easy to do and you have essentially completed the cake! All that is left to accomplish is to bake and decorate your delicious lemon drizzle cake. Carefully pour the lemon cake batter into your cake tin or cupcake cases, and allow the mixture to bake in the oven at 180C or Gas Mark 4 for around thirty-five minutes. When it is golden brown in color on the surface and feels springy to the touch, then you know it is fully cooked through and ready to remove. Let the cake fully cool on a wire rack before attempting to remove it from its tin or to ice it. When icing a lemon drizzle cake, a great tip is to use a fine skewer to make lots of small holes on the top of the cake. This is because when you then come to pour the icing over the top, it will be able to seep into the holes and flavor the cake more fully with a rich and extra lemony flavor. To make the lemon icing, use granulated sugar for a more crunchy texture or caster sugar if you would prefer the icing to be smooth in taste and appearance. Simply combine the sugar with the juice of half a lemon as specified in the ingredients list, and pour onto the cake. Allow the completed iced cake to sit for at least thirty minutes if not longer, for the icing to really seep into a wider area inside the cake. Alternatively, you could make a richer lemon icing using icing sugar, lemon juice and butter as specified at the top of this article. Combine the butter with the icing sugar and lemon juice in a small bowl and once you are happy with the texture and consistency, then spread it on top of your cake with a knife. Remember to only ever ice cakes when they are fully cooled as otherwise the icing may run off the surface. I hope that this recipe inspires you to try making a lemon drizzle cake at home as it is a very easy and simple recipe to do. Even if you are not a very experienced baker but you would like to get more practice in and develop your skills in the kitchen, then starting small and with simple recipes is a great way to begin today. Below is a You Tube video from Nick Lansley who makes the Tesco recipe for a Lemon Drizzle Cake. It looks delicious and she takes you through all the steps visually which is a great help as well. Remember that baking is fun and should be an enjoyable experience. If you want to build your confidence up gradually then start with recipes which use under ten ingredients such as this one. The more steps and processes there are then the more complicated and confusing it can get if you do not have much experience. This recipe is great for school holidays to get the children baking and integrating fruit into more recipes. You could even place slices of lemon on top of the cake for decoration and to help family and friends know that it is lemon flavored. If you have any leftover lemons then add them to a glass of hot water for a great detoxifying drink. Hello jolalester, thank you, I'm really glad you like the recipe. It's definitely one to share with family and friends!